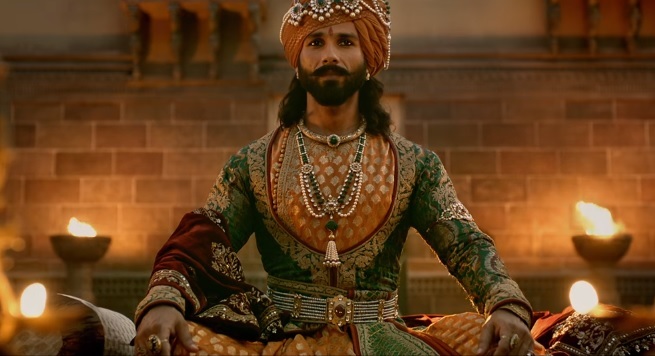 Panaji, Nov 21: Actor Shahid Kapoor today said rather than being angry, he chooses to be optimistic about the future of "Padmavati", whose release has been postponed amid protests by various Rajput groups and political leaders. Shahid is one of the guests from Bollywood to attend the inaugural ceremony of the International Film Festival of India (IFFI) here. "Sometimes films of this nature.... it gets a bit complicated. I will choose to be optimistic till the due course is done. This is not the time to be angry, not the time to lose your cool. There are enough people doing that. So I would choose to say that I believe in the process," Shahid told reporters at the IFFI red carpet. "I am sure 'Padmavati' will come out. It is a film we are very very proud of. I am sure once people see the film, all this will be forgotten." He also condemned the violent threats against co-star Deepika Padukone, calling it "shameful". "Of course, any kind of conversation which is violent is not in good taste. I think it was absolutely uncalled for. I hope we will live up to the expectation of the people. I don't want to make any comments specific to a group," he said when asked to respond to Shri Rajput Karni Sena's comments.